Golf is one of the world’s most popular sports. Played and watched by millions of people across multiple demographics, golf is one of the only popular spectator sports that fans can also play at some level. There are only a few physical activities where participants can remain active and competitive well into their golden years, and because of the relatively low impact, golf is one of the most prominent of these. Promoting your business to golfers is a great strategy, as the old cliché “more business gets done on the golf course than the boardroom” is actually true in a lot of places. In fact, some of the most prominent business people and “influencers” in your community probably hit the links a few times per month. Let’s take a look at some ways to tap into this market. Golf events are expensive to produce, but to help cover the costs, most events have various sponsorship opportunities available. While attaining the naming rights for the whole event will be very expensive, it will put your company’s name on the minds of potentially thousands of people. If you don’t want to spend a huge dollar amount, smaller sponsorships can also be very effective. Putting your company’s name on an individual hole, donating your branded swag for the players’ gift bags, or providing the food and drink at the “19th Hole” are all good ways to get your brand recognized by the golfers in your area. Golf is an expensive hobby and requires a vast amount of equipment just to get started. Adding your logo to items that golfers will use daily is a great way to keep your brand in their minds every time they hit the fairway. These items range from very economical, such as t-shirts and hand towels, to premium, such as jackets and equipment bags. In the middle, there are also moderately priced, such as golf balls, polo shirts, and hats. Whichever equipment you choose will resonate with potential customers that will see your logo every time they are on the course. Most public and private golf associations have some kind of member business exchange program. This could be a bulletin board in the locker room to display business cards, or a “member spotlight” email list to let players know how other players spend their time off the course. 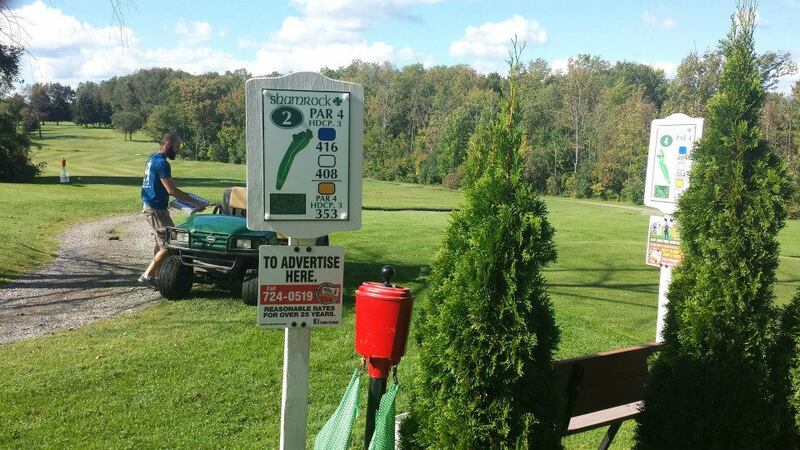 Many golf courses also have on-course ad space available. There are many ways to get your company known in the golf community. Look into local clubs in your area to see what they offer and how your business can serve the golf community. Country clubs and courses with pro-shops, food, and beverage on premises will be tougher to partner with, but there are many courses with less amenities that are usually willing to offer discounts to their members. Golf is big business. Tapping into this market could be a potential hole-in-one for your business. Effectively communicating your message to your local golf community could be the ticket to taking your company to the next level.